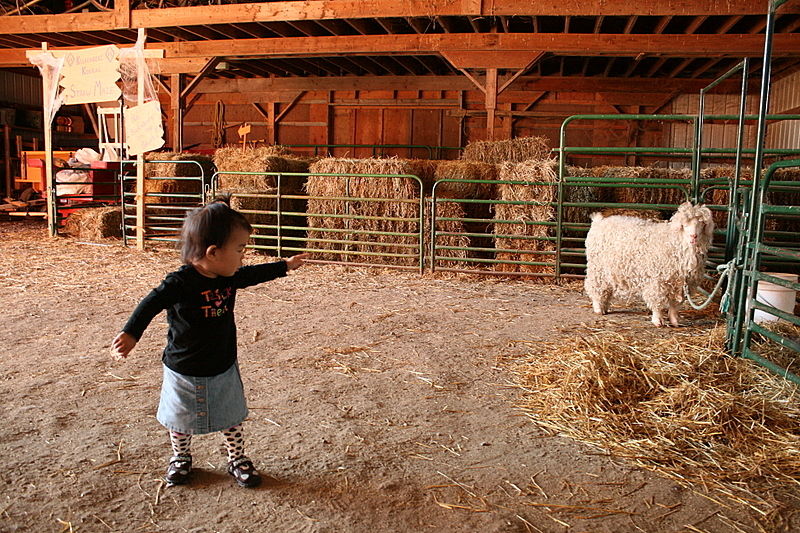 She has some sort of strange fascination with goats. Notice the little mill in the background near the apple basket? 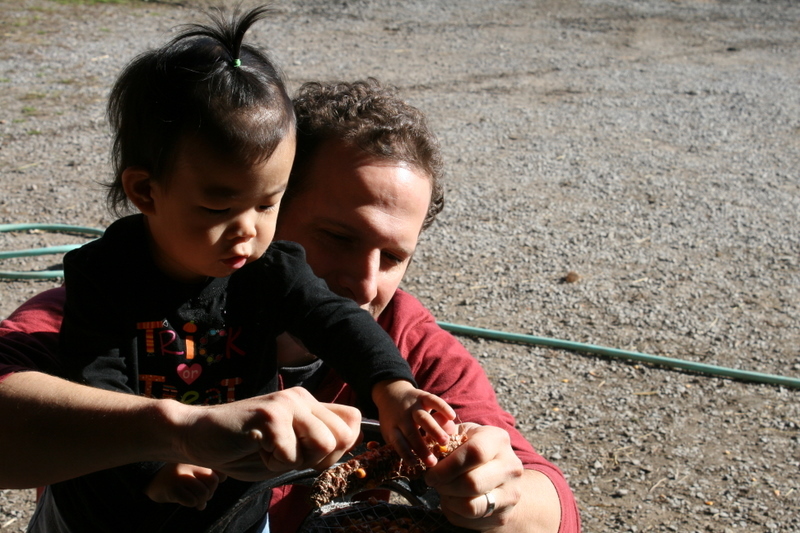 It was a little hand crank mechanism that turned corn into chicken feed and she was absolutely fascinated by it. We practically had to drag her away. 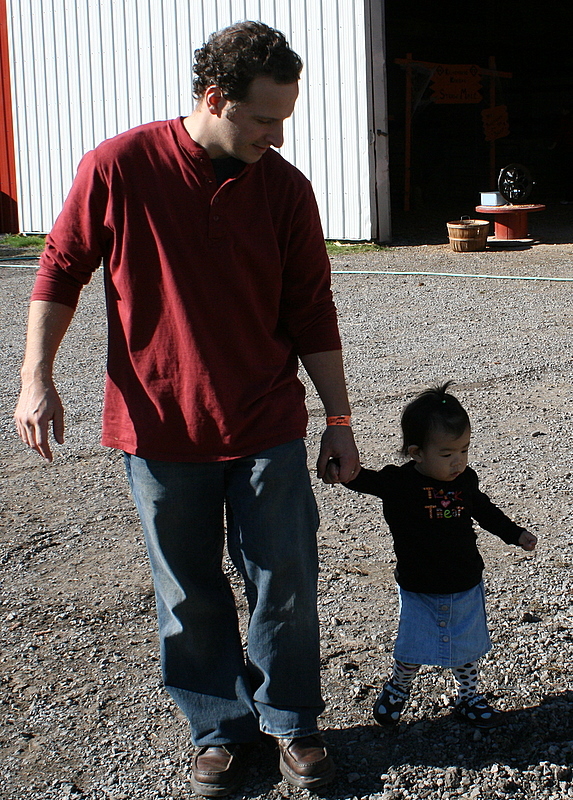 Little Miss Independence wanted to walk throuh the pumpkin patch by herself, but with just about every step she took she tumbled over. 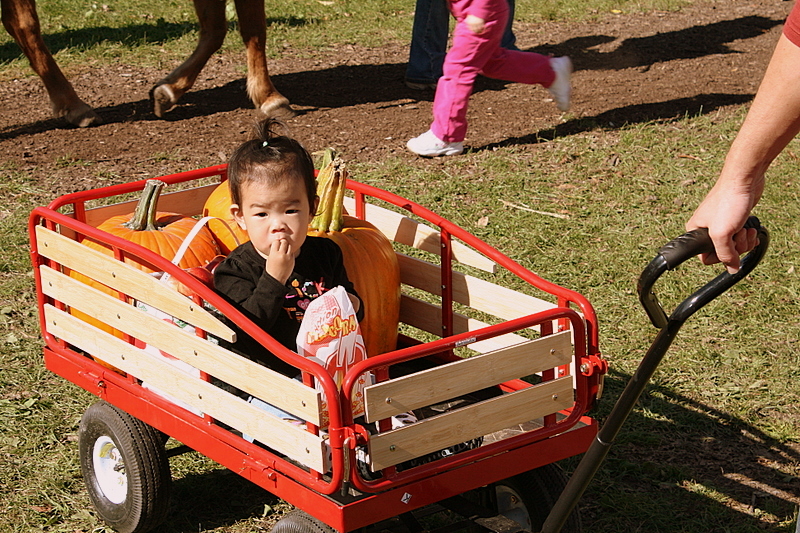 Luckily, she did eventually find herself a good pumpkin! 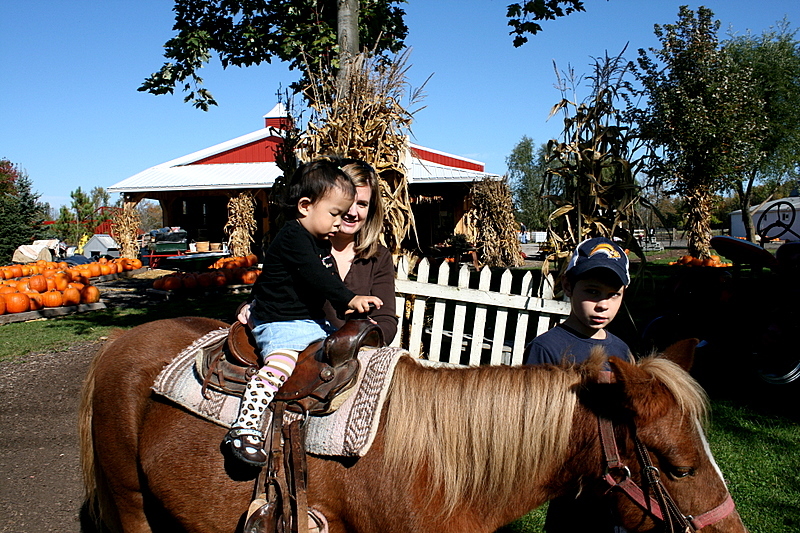 They were offering pony rides and Marc and I both thought to ourselves that there's no way she would want to go on the pony- she would be too scared. Not this cowgirl! 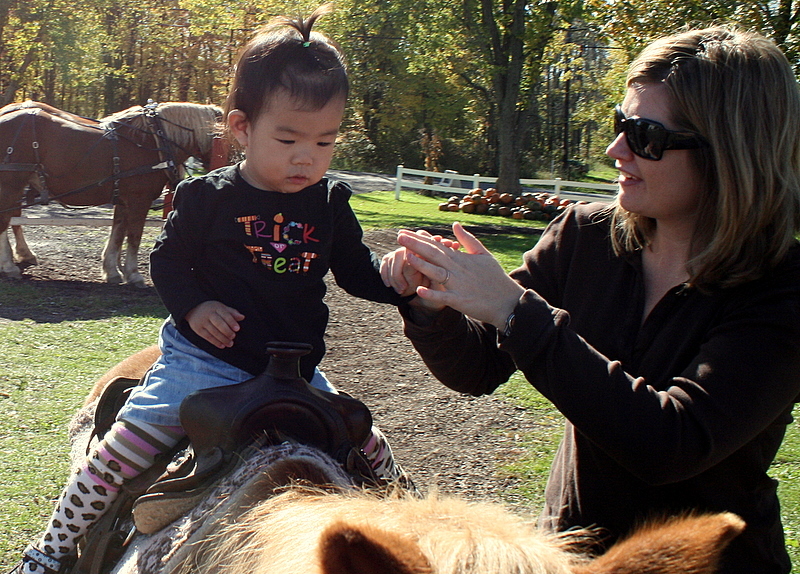 Half way through the ride she even tried to let go of my hand and hold onto the pony herself! Where there's food, there's Poppy. 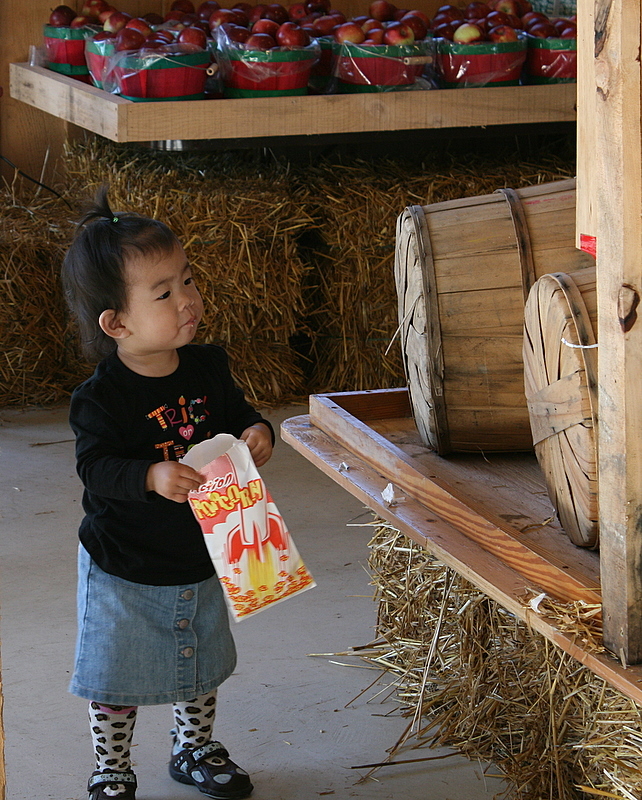 And the true highlight of our day at the farm, Poppy's very own bag of popcorn. And then there was our annual family renuion at Emery Park. It was an absolutely beautiful day. Unfortunately I'm having trouble uploading the rest of my pics though, so if you want to see our newest family pic, you can check it out on Courtney's blog. Stay tuned, lots more fun stuff coming up this week! Love the pumpkin patch pictures!! It looks like you had so much fun! I can't wait to see the rest of the pictures! PS I love the bib!!! fun. 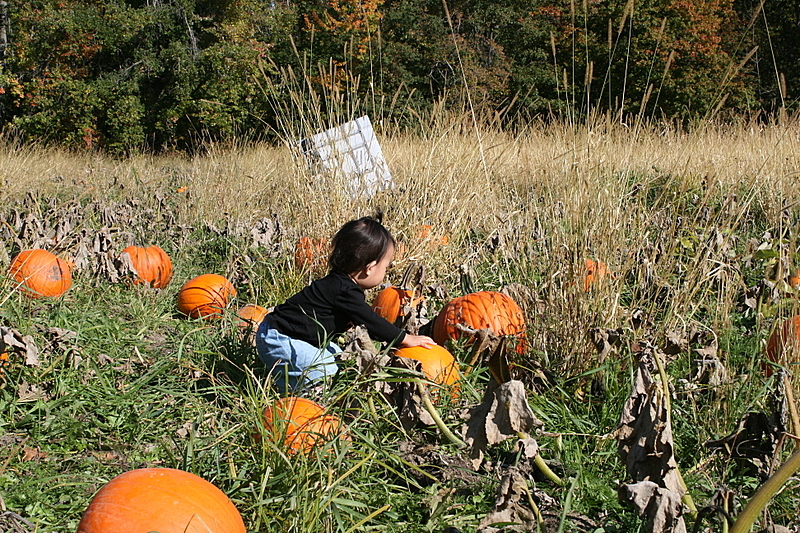 pumpkin patch pictures are the best! haha I love the last photo with the chicken leg. Looks like Poppy had a ton of fun. are you sure she isnt at the state fair in the last photo? :) hee. What farm did you go to, it looks like fun! LOL!!! love the last picture! She is so cute! 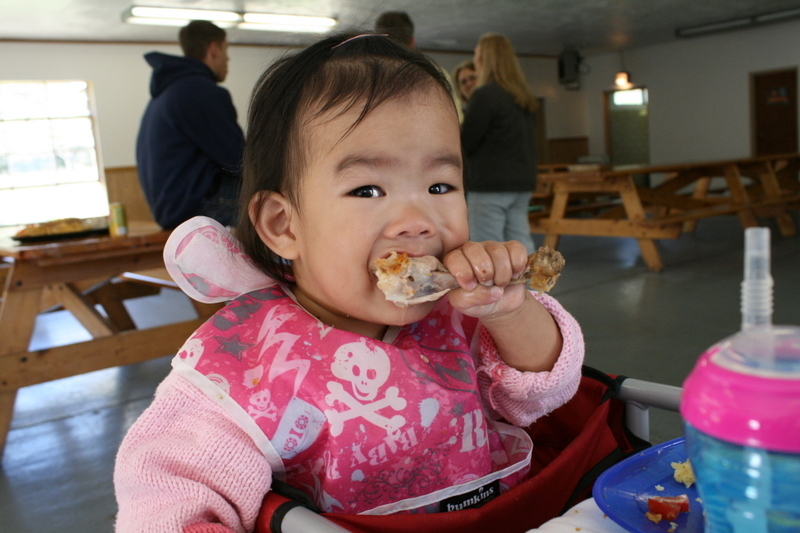 I love the bib too! I had to comment because our family reunions used to be at Emery Park.